Nintendo of Japan and The Pokémon Company have announced that they are to release a new Pokémon Typing bundle that includes a Black Bluetooth keyboard. 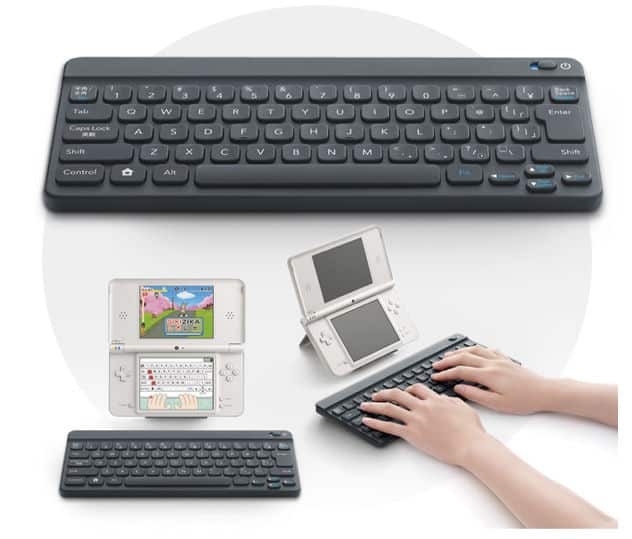 The game was previously only available with a White Bluetooth keyboard, having launched in Japan on April 21st earlier this year. Pokémon Typing, developed by Genius Sonority, sees players tasked with capturing Pokémon by typing their name using the wireless Bluetooth keyboard. The Pokémon Typing and Black Bluetooth keyboard is due to go on sale in mid-November, priced at 5,800 yen.